You could easily argue that the browser war between Netscape Navigator and Microsoft Internet Explorer has been over for quite a while, but if there was ever any doubt, it can be put to rest. Yesterday, AOL announced that as of 1 February 2008, Netscape Navigator will be officially dead. 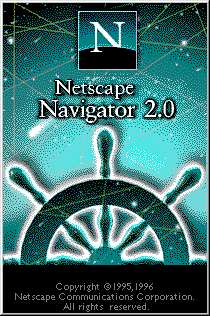 Back in 1995, when I first started browsing the internet on a daily basis, Netscape Navigator was my browser of choice. It wasn’t until late in high school that I started to prefer Internet Explorer (which was a good browser at the time, as hard as that may be to believe), and since switching away, I have never seriously used Netscape for web browsing. From time to time, I fondly recall the afternoons I spent after class in the computer lab at my high school. A handful of us had discovered GeoCities and we would spend hours building web pages. Netscape Navigator 3 Gold came with a WYSIWYG editor, and I loved how quickly and easily I could work on my website. No matter how much time had passed since I last used it, I still considered Netscape one of the “Big 5” browsers (the others being Internet Explorer, Firefox, Opera, and Safari). Being a web designer, I dislike the fact that there are so many browsers out there, because they all render pages slightly differently. The death of Netscape is a boon to my industry, but it still makes me a little sad. Well Netscape Navigator, 13 years after I first started using you, I’m saying goodbye forever. I can’t say that I’ll miss you, but I’ll always fondly remember you. I loved how quickly and easily I could work on my website. Holy time-machine, Batman! I feel like I’m delving into the mind of a younger you, and since I only know the grown-up you, it’s a bit weird. Black background, poetry… were you … emo, Thomas? Is Emo Chef based on YOU?!? I like the Pain one though. Put that on a t-shirt. So many broken links. It’s depressing. All things are transitory, I know, but I don’t want to be reminded all the time. A lot of the links are broken because I moved things around. I’ve thought about rebuilding my old website in a subdirectory of this one, just to always be able to look back and see what the golden age of the web was like. But no, I wasn’t emo Thomas; emo wasn’t around then anyway. I was kind of goth for a while, though.